Rosa is the founder and director of Make A Scene, which has been delivering her unique brand of theatre, performance technique, and training to schools, educators, and theatre professionals since 2004. She conducts Commedia dell’Arte Workshops in schools and for theatre educators through Drama Victoria, La Mama Learning, Deakin University, The Fairfax Youth Initiative and Melbourne Theatre Company Education. As a valued and respected member of the profession, Rosa has been elected onto the Drama Victoria Committee and is very proud to be supporting theatre education with this wonderful organisation. 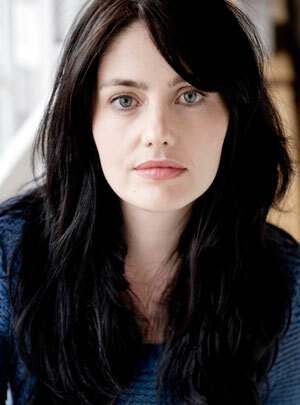 She is also thrilled to have been invited onto the board of Lab Kelpie An Australian New Writing Theatre Company. Rosa’s physical theatre training in Jacques Lecoq Technique with Norman Taylor (Movement Theatre Studio, New York) heavily influenced her teaching style and approach to performance creation. She has studied Commedia dell’Arte with Venezia InScena (Venice, Italy) and with commedia Master, Antonio Fava. As well as gaining her teaching degree from Deakin University, Rosa also trained in Uta Hagen technique (HB Studio, New York) and with Patsy Rodenburg (Michael Howard Studios, New York). Rosa has created and directed original Commedia dell’Arte shows for Make A Scene including: ‘Fooling in Love’ (2017) and ‘Venice in Love’ (2014), which have been touring schools nationally for the past eight years and have received glowing testimonials. As well as devising shows for Make A Scene, Rosa was Production Assistant on the original Tony Award winning musical, ‘Avenue Q’ (The Vineyard Theatre, New York). Her performance credits include: ‘Le Beatrici’ (Directed by Laurence Strangio) and a collaboration with Margherita Peluso on a grotesque bouffon satire, ‘The Devil Wears Pashmina and You?’ Elf Teatro, (Milan, Italy). 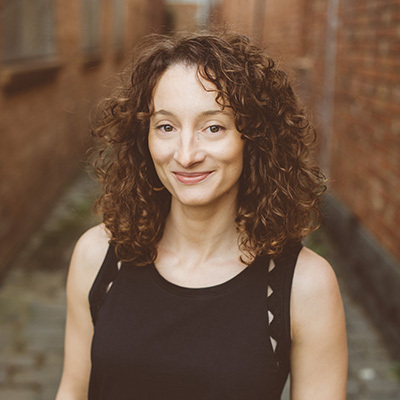 Rosa loves creating, directing, performing and teaching commedia and has translated and published (Currency Press), Goldoni’s classic, ‘The Servant of Two Masters’. This show was on the 2016 VCE Playlist and unleashed all of Rosa’s experience and skills – juggling the roles of writer/translator, director, and producer. 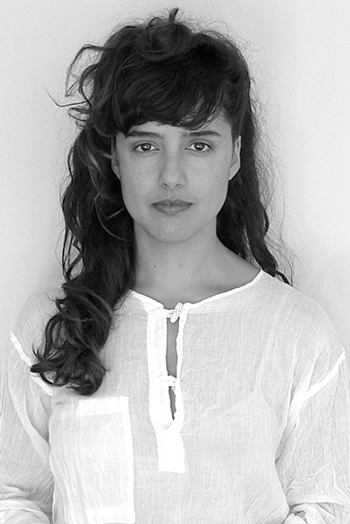 Most recently she directed a Moliere for Melbourne French Theatre all in French and this year Rosa has been collaborating and producing Make A Scene’s next exciting offering, ‘Pinocchio’. Sharon has extensive experience and knowledge in both the arts and business sector and provides Make A Scene business and development support to expand our reach and allow our artists to focus on the excellence of their work. She is a passionate artist with a unique sensibility to approaching the “business” side of “show business”. Since graduating from The Victorian College of the Arts, Sharon has worked extensively as an actor, director, producer, voice over artist, and industry advocate in Melbourne and around Australia. 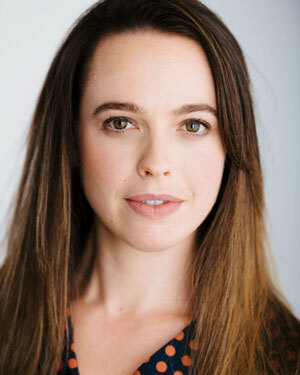 She made her directorial debut in 2017 for Lab Kelpie’s production of Spencer, a new play by Katy Warner, and recent notable roles include Holly in Next Fall at Chapel off Chapel, Beatrice in Much Ado About Nothing for Essential Theatre, Smeraldina in The Servant of Two Masters for Make a Scene and La Mama Theatre, Australia Day for Hit Productions, and Mother & Son for Queensland Theatre. She has worked as co-creator and producer for Melbourne independent theatre company, 5pound theatre, as part of their 5pounds of Repertory Theatre season, a new work exploring the characters and tales of famous Murder Ballads album by Nick Cave and the Bad Seeds, and a muddy reworking of Ubu Roi for Adelaide Fringe. She has also been working with Melbourne based improv group Stiff Company since their debut shows at the 2016 Melbourne Fringe Festival. On screen, she has also appeared in It’s a Date, Neighbours, and Killing Time, and the recently released short film Dying for a Laugh. Sharon has been a proud member of Equity since 2002 and has been working actively with the union to help support and advocate for the rights of working artists in Australia. 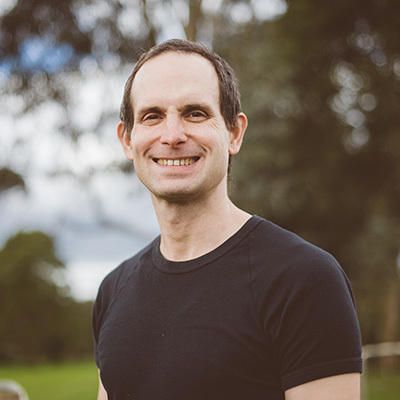 Lyall is an award-winning actor, the artistic director of new Australian writing theatre company Lab Kelpie, and an emerging theatre director. He has received four Green Room Award nominations across mainstage, independent and musical theatre, appeared on many of Australia’s television shows and miniseries, and his character work has seen him voice several long-running international animations. A teaching artist and creative consultant with Make A Scene since 2010, Lyall has contributed to Venice in Love, The Servant of Two Masters and Fooling in Love, and many school holiday programs. He is the original director and dramaturg on Lab Kelpie’s Alone Outside, SuperGirly, Become the One and Refined, and was a 2017 Theatre Works Associate Artist. Christian has been working with Make A Scene since the beginning of 2013 and loves performing in the Company’s commedia shows, because not only are they playful interactive and fun, but due to the Italian component of these shows he is slowly learning Italian! Christian’s physical theatre training includes: The John Bolton Theatre School and studying with Clown Master Philippe Gaulier. Christian is also an improviser, clown, and puppeteer and has co-devised many of the productions in which he has performed, and has worked with several independent theatre companies including Make A Scene, Company13, Spindly Figures, Lemony S, Black Hole Theatre, Jessica Wilson, Short Attention Span, and has been a regular member of Polyglot Theatre for over a decade. Most recently Christian collaborated with Rosa to create, ‘Venice in Love’ and ‘The Servant of Two Masters’ which he starred in playing Truffaldino. This year he has lent his creative and directing talents to develop Make A Scene’s new exciting offering, ‘Pinocchio’. Jasper began his performance career in circus, studying at the National Institute of Circus Arts in 2010 and 2011. He followed this with a Bachelor of Fine Arts: Acting at QUT in Brisbane. 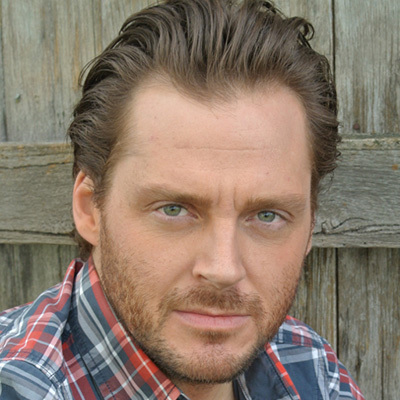 Since graduating he has performed almost non-stop, in theatre, television, commercials and comedy. He played Kevin Fitzpatrick in ABC’s ‘The Doctor Blake Mysteries’, and performed in the sell out show ‘Completely Improvised Potter’ at the Melbourne International Comedy Festival. In the past year Jasper has been involved with several improvised theatre and comedy groups, including a completely improvised musical. Jasper has worked with Make A Scene since May 2016 and in that time has performed in ‘Venice in Love’ and ‘The Servant of Two Masters’. In 2017 he collaborated on ‘Fooling in Love’ and most recently has worked with the Company to create and perform in Make A Scene’s new exciting offering, ‘Pinocchio’! 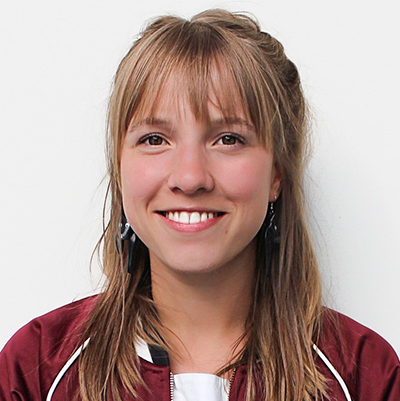 Eloise is a Melbourne-based designer and graduate of the Master of Design for Performance at the VCA. She has a keen interest in creating spaces that respond to and interact with the site, the performer and the spectator. She has collaborated with Make A Scene to design ‘The Servant of Two Masters’ (2016), ‘Fooling in Love’ (2017), and ‘Pinocchio’ (2018). Other theatrical credits include ‘Marie Antoinette’ (Heartstring), ‘Her Father’s Daughter’ (Hotel Now), ‘Can’t Be Tamed’ (La Mama Theatre), ‘The Absence of Knowing’ (La Mama), ‘King Lear’ (La Trobe University), ‘La Comtesse Bis’ (Melbourne French Theatre), ‘Life Without Me’ (Illuminate Educate) and ‘The Merry Wives of Windsor’ (Nothing But Roaring). Afsaneh’s career-long quest to cultivate direct and powerful connections with audiences has led her through an eclectic series of experiences. Traveling the world to train with masterminds such as Phillipe Gaulier (clown), Theatre Hotel Courage and Cristina Coletti (Commedia Dell’Arte), Compagnie Phillipe Genty (object theatre), Cardboard Citizens (Theatre of the Oppressed), Zen Zen Zo (physical theatre) Pips; Lab (virtual reality theatre), Stephen Mottram (Puppetry). Most recently she worked with Teatro De Los Sentidos in which she gained a Masters Degree through the University of Girona and with whom she performed ‘Echo of the Shadow’ at the 2016 Melbourne Festival. Her stage performance credits include, ‘1001 Nights’ (QTC), ‘From the Rubble’ (PTC) ‘Vis and Ramin’ (Baran Theatre) as well as countless self-devised and collaborative interactive arts projects. Community arts engagement has become a parallel passion, leading Afsaneh to facilitate projects and lead workshops addressing violence and disadvantage such as Project Art 2016/7 as well as being guest artist on community projects across Victoria and in remote indigenous communities. After all that, she still claims to have learnt much of what she knows from starting conversations with people at bus stops. Afsaneh recently joined Make A Scene and has been performing in ‘Fooling in Love’. Mason has performed both locally and internationally and has recently returned from a two-year stint playing the bilingual role of Mr. Ollivander in ‘The Wizarding World of Harry Potter’ (Universal Studios in Osaka, Japan). 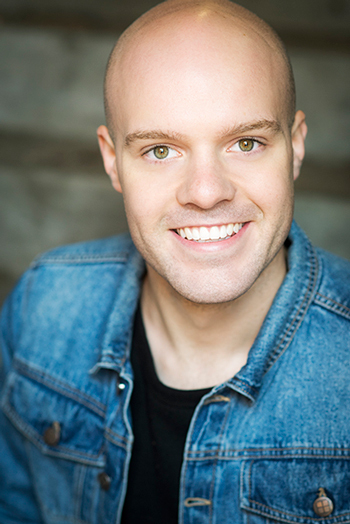 Mason has performed in a variety of theatrical productions, including Brad in ‘The Rocky Horror Show’ (Australian Regional Tour), Phillip in ‘The Shape of Things’ (Flamingos The Arusha in Osaka, Japan), Miles Cuthburt in ‘Act A Lady’ (La Mama), Captain Robert Falcon Scott in ‘Peter And The Starcatcher’ (Flamingos The Arusha in Osaka, Japan), Duncan in ‘Macbeth’ (Monash University) and several characters (32!) in ‘The Lion’s Bride’ (Innatum Theatre in Melbourne). Since returning home from overseas, Mason hasn’t slowed down. He helped devise and perform the Victorian State Government funded tour of ‘Messenger Dogs: Tales of WWI’ (Cultural Infusion) for which he employed both acting and puppetry skills. More recently, Mason understudied the roles of Toad, Badger & Otter in ‘The Wind in the Willows’ (The Australian Shakespeare Company) and has performed in a number of independent film and television projects such as ‘The Gallery’ as Richard (Lochlando Pictures) and the web commercial comedy short Sleeping Duck: ‘Australia’s Next Top Sleeper’ as Phillip (Dougal Digital). Mason graduated with a Bachelor of Performing Arts from Monash University (2011) and was given the Dean’s Award For Academic Excellence. Mason recently joined Make A Scene and has been performing in ‘Fooling in Love’. Lelda’s passion for the arts was apparent from an early age- she began dancing when she was 3 years old. Lelda completed a Bachelor of Arts in Music Theatre at the Western Australian Academy of Performing Arts. After graduating, Lelda performed the role of Lisa Houseman in the world premier production of Dirty Dancing, her work in the show earned her a Green Room Award nomination. Theatre. She ran the gauntlet of 5 plays in 5 weeks for 5pound Theatre and played the role of Lydia in Spike Heels for Q44 Theatre Company. She is an experienced voice over artist, regularly recording radio and television commercials and had the thrill of working on the animated film Legend of the Guardian. Lelda’s screen work includes many short films. Highlights include LateNite film’s award winning Flash, To the Heavens and Time Trap. She starred in the web series Sort Your S**t Out and can be seen in the independent feature film I am Evangeline. Lelda has appeared in many television commercials during her career. As well as studying at WAAPA, Lelda completed the full time program at 16th Street and has participated in masterclasses conducted by Oscar winner Ellen Burstyn and acting master teacher Susan Batson. Delivery!. She is thrilled to be able to share her passion for the arts as a performer with Make a Scene. Margherita is a screen and stage actor from Milan who works in Italy, Australia and the USA. She studied with Emma Dante and Mamadou Dioum of The Peter Brook Ensemble (Italy) and later at The Gloria Gifford Conservatory (LA) and also with Larry Moss (NYC). She is a company member of Make A Scene as well as The Lucid Body. Institute home for the physical actor in (NYC). Margherita is a regular performer at La Mama Theater (Melbourne and NYC), where she has acted in a wide variety of work. Her theatre credits include: Luigi Pirandello’s ‘Caps and Bells’, a provocative new translation of ‘La Medea’ by Franca Rama and Dario Fo, ‘Wounded’ a solo show written by Mario Fratti LES Festival (NYC) and ‘The Count of Montecristo’ produced by New Light Theater Company (NYC).In addition to her theater work, Margherita is an accomplished film and tv actress, receiving several Best Actress nominations at Film Festivals around the world and is a familiar face on Italian television. Margherita is also part of the Jury of the prestigious New York International Filmmaker Festival. She is also an accomplished writer who’s translation of ‘Le Beatrici’ with the author Stefano Benni, premiered at the In Scena Festival (NYC) and has devised and collaborated with Rosa Campagnaro to produce, ‘The Devil ears Pashmina, and You?’. Margherita’s current project “Io,Marta” has been workshopped at the prestigious international theater festival, La Mama Next Generation (Spoleto, Italy) and was the opening show at the Pirandello National Festival! Salvatore Gulinello is an Italian-Australian actor, based in Melbourne. 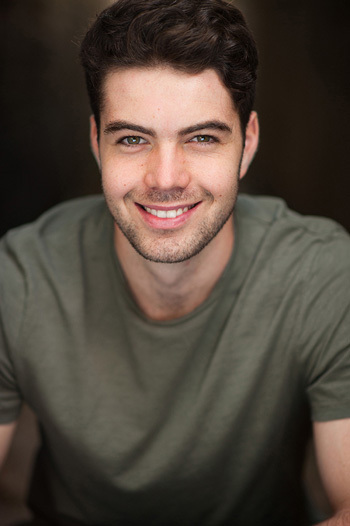 He trained at Federation University Arts Academy Ballarat, recently graduating with a Bachelor of Arts (Acting). His theatre credits at Federation University include The Wolf in “Company of Wolves” directed by Cheyney Caddy; Shamraev in “The Seagull” directed by James Wardlaw; Young Waverley in the “Woman Hater” directed by Ian Scott and Peer Gynt in ‘Peer Gynt’ directed by Justine Campbell. During his time at university, he co-devised a new work called “The Durnagee Effect”. 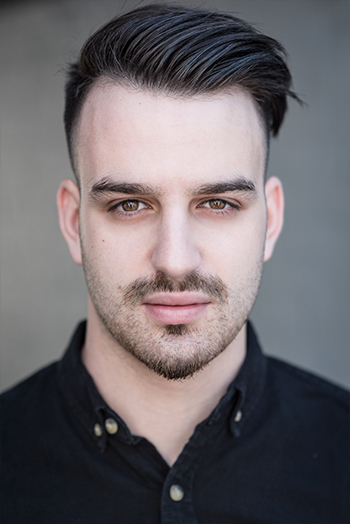 Salvatore’s latest works have included a voiceover role in the ABC’s television series ‘Miss Fisher’s Murder Mysteries’ as well as a role in The Independent Feature Film “Innuendo” directed by Saara Lamberg. Most recently he co-devised and performed in a new sketch comedy at the 2016 Melbourne International Comedy Festival titled “The Million Dollar Fish”. Salvatore has a great passion for political comedy and plans to develop such work in the future.